At the end of the Second World War, every one of the major parties involved had a reason to overstate the competence of the Wehrmacht, Luftwaffe, and Kriegsmarine. The German population wanted the limited consolation of knowing that at least their armed forces had fought the war well, and that there’d ever been a hope of winning. The Allies would want to build up their enemy so that their accomplishment was greater and their adversary more worthy, not to mention explain all the setbacks early in the war. Fiction authors and white supremacists have also grasped onto the idea that the Nazi military might was greater than it actually was; for the authors for narrative purposes, as the Third Reich gave them a “Big Bad” to deploy in their stories, and for the white supremacists… well, you can guess why they’d want to inflate the power of the Nazis. Today, we’re going to try to clear up a few of these misconceptions. Rommel is just about the only Wehrmacht general a random person on the street could name. We’re used to seeing portrayals of him as a chivalrous, worthy adversary like in the 1970 film Patton, and such a military genius he regularly gets labeled one of the best generals in history. Rommel was instrumental in the Axis’s conquest of Libya by winning the Second Battle of Tobruk in 1942, which left them in a position to threaten Egypt and the vital Suez Canal. He also had a habit of not summarily executing Allied prisoners and was himself effectively killed at Hitler’s orders, so he was priceless for reinforcing the notion there was some fissure between the High Command and the rest of Germany’s allegedly honorable main military units (more on this later). Looking at his record on a larger scale, Rommel’s performance wasn’t nearly so exemplary. 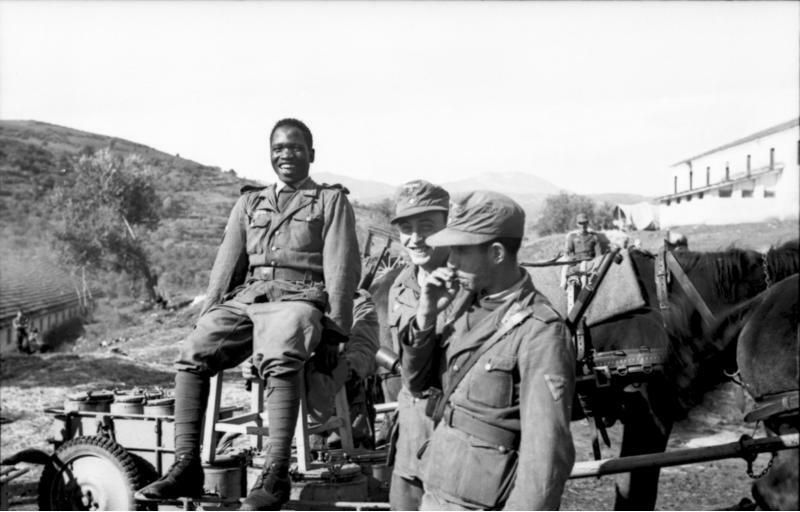 For example, in April 1941, when newly arrived in Africa, he ordered an attack that stretched his supply lines in an untenable manner–and against orders. The result was a failed assault and needing to retreat until the following year. After his most celebrated victory in Tobruk, he argued that he could push into Egypt on captured British supplies, effectively leading his army into a confrontation where he was outnumbered two to one and thus left in an especially bad situation after losing at the Battle of El Alamein. It’s not as if logistics were some sort of blindspot for him, either: his own papers say that a battle is won logistically before it is even fought. On a more general note, his colleagues reported that he was terrible at delegating and became overfocused on specific portions of a battlefield. This meant that often when he wasn’t physically present, his subordinates couldn’t take initiative properly. When he wasn’t present at all–such as at the beginning of the aforementioned Battle of El Alamein–his absence could be especially disastrous. Part of the reason Rommel became so well known was that while socializing with Hitler, Propaganda Minister Joseph Goebbels judged the general as presenting the perfect public face for the Wehrmacht. Rommel agreed. Beyond doing numerous photoshoots before the invasion of Poland, by the time Rommel was leading a division during the conquest of France, he traveled with a senior member of the propaganda ministry and a writer for the main newspaper of Nazi Germany, Der Sturmer. He personally directed scenes for propaganda newsreels. In short, to at least some extent, everyone was falling for Axis propaganda. This actually had fairly significant negative consequences for the Reich. His account of his performance during the Battle of France was a contributing factor to Hitler ordering the tanks to halt outside Dunkirk and allow the British Expeditionary Force to escape. Not to say he inadvertently doomed the Reich with his prima donna leadership, but he was hardly the god of war some students of history elevated him to. Because the Russian Winter was also blamed for Napoleon’s defeat during his 1812 invasion, it was tempting to blame the defeat of Operation Barbarossa in 1941 on the same thing. For the Russians it gave a sense of historical inevitability that the Reich would eventually be pushed back to Berlin. For the Reich it was a way to attribute their defeat to something other than the tenacity of the Red Army–something that would be important in the spring of 1942. The fact the Wehrmacht didn’t have any winter gear was also good for rubbing their hubris in their faces. The truth was that before so much as a snowflake touched the ground, weather was already stopping Panzers. Autumn in Eastern Europe was especially rainy that year, and only an estimated 7% of Soviet roads were properly paved to allow for the passage of thousands of horses and armored vehicles. Just short of Moscow, a three-week long rainshower from October to November brought the Blitzkrieg to a crawl where the fastest units could only manage two miles a day. At one point among the 2nd Panzer Group, 60% of all tanks were stuck in the mud. In fact, the Russian winter hurt the Red Army at least as much as it did the Wehrmacht. For a time, the frozen ground was hard enough to let the tanks make one last drive for Moscow, but by then the Soviets had reinforced the city. During the 1941-1942 winter the Red Army attempted to counterattack across the entire front, and it turned out that the Russians didn’t have much winter clothing ready for their troops, nor did they bring needed supplies in general, or coordinate assaults. The result was that hundreds of thousands of Soviet troops got trapped over the winter and taken prisoner by spring. The Germans, by contrast, could hold up in defensive positions they nicknamed Hedgehogs to repulse attacks. They also often simply stole winter clothing from Soviet civilians. General Winter is quite treacherous. The Bismarck wasn’t the only Kriegsmarine battleship to clash with the royal navy, but its dramatic single voyage that took it around the United Kingdom ensured it would remain the most famous. At the time it was one of two largest battleships in the world, along with the most heavily armed and armored. It was also laden with profound design flaws. Later analysis of its design showed that many of the control lines were not properly armored, leaving them more vulnerable than on most ships in service at the time. Additionally, the recoil of its own 15-inch artillery pieces damaged its radar. Its decks had separate armor components, lessening their effectiveness. Coincidentally the HMS Hood had a similar flaw, which was why the Bismarck was able to sink it so quickly. Additionally, the Bismarck’s stern was also structurally under-armored. This last aspect was especially tragic for the crew, because on May 27 when the Royal Navy sank it with torpedos after hours of shelling, the stern of the ship essentially snapped off, and the resulting extremely fast sinking speed explained why, of its 2,200 crew members, only 110 survived. Because the most famous military maneuver the Germans performed in WWII, the Blitzkreig, was centered around the use of tanks it makes sense to extrapolate that they were able to design the best tanks. While the infamous T-34 medium battle tank has spared the Red Army a reputation for fielding substandard tanks, Americans were not so lucky. The Panzer and Tiger tanks were more heavily armored and armed than American Sherman tanks. 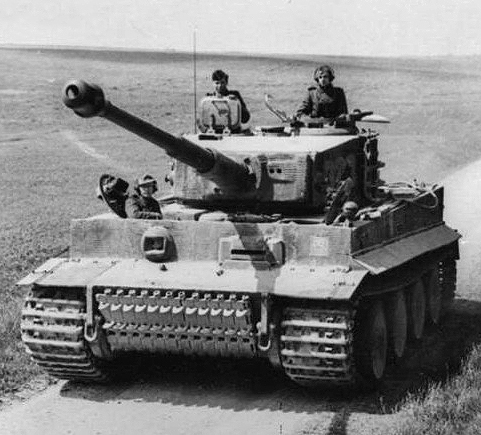 A common phrase emerged: “Five Shermans for one Tiger.” The British Army didn’t help this matter by nicknaming the American tanks “Ronsons” (i.e., cigarette lighters). In the first place, the Sherman tank was far more reliable mechanically than its German competition, managing longer periods of use over less hospitable terrain before suffering engine failure. Considering that Wehrmacht tanks tended not to be designed for efficient maintenance or interchangable machine parts, they broke down far more often and were out of service for good. Since American tactics were primarily to attack Wehrmacht infantry with tanks instead of Panzer units, that was more effective. Also, large-scale tank-on-tank battles were relatively uncommon on the Western front as the Americans more often turned to air power to destroy armored units. More to the point, the single most significant factor in the limited number of tank battles, as reported by Discover Magazine, was which side caught the other by surprise, and thus could fire first. Since the Germans were fighting defensively, inevitably they were more often able to ambush the Americans. But when the Americans could catch the Germans in a counterattack or get around their flanks, they were often able to knock out Panzers or Tigers. To push the narrative that the Wehrmacht were ubermensch who only lost on the Eastern Front because of sheer mindless Soviet numerical superiority, for a while claims were put forward that at least three members of the Soviet military were killed in action for every Axis soldier who fell. A viral video released in October 2016 by Neil Halloran inadvertently fed this misconception by claiming that the German population suffered 2.3 million military deaths in that theater, while the Red Army suffered 8.7 million. One of the major contributors to the Red Army deaths, compared to Wehrmacht deaths, was the treatment of prisoners. Of the 5.7 million Red Army soldiers taken prisoner, 3.5 million died in captivity. Soviet records stated that 381,000 of the more than three million prisoners they took died in captivity, and while German estimates are higher it’s still vastly less than the number of Soviet soldiers who never returned home. Another significant factor was that many, many of the casualties the Soviet Union suffered were the loss of obsolete weapons at the very beginning of the war due to a lack of mobilization of planes and armored units. For example, there was the loss of 4,000 planes in the first week, but many hadn’t even taken off. By 1943, the Red Army had adapted their tactics while improving their soldiers and material to a point where casualties were often close to a 1:1 ratio with their enemies. Frankly, if the Soviets had attempted to defeat the Wehrmacht through sheer numerical superiority as they charged again and again they likely would have lost, or the war would have been years longer. During 1941 much of the Soviet Union’s population and industrial capability had been conquered by the Reich, particularly Ukraine. Through 1942 the Reich was actually producing more steel and coal than the Union and strangling much of America’s shipments of arms. Not the circumstances under which a nation can best an effective enemy through sheer brute force. Mein Kampf explicitly stated that one of the main motivators of WWII was to purge the Soviet Union of its inhabitants so that the seized land (labeled “Lebensraum”) could be occupied by the Aryans. Given the pseudoscientific claims the Reich made for racial superiority, you would assume that they wouldn’t consider allowing anyone that wasn’t at least passably caucasian into their ranks. This was far from the truth. Entire divisions of the Arabs, Africans, and Indians fought in Europe in Wehrmacht uniforms. The Arab units because they shared the anti-semitic values of the Reich (Himmler was especially interested in relationship with Middle East nations, going so far as to establish mosques in Germany); Africans and Indians saw it as a chance to help wrest their nations from British control. The Indians saw the most notable action in that they were involved in the Battle of Normandy after the D-Day landings. But those were overshadowed by the sheer number of Slavs who fought in the Wehrmacht, even though they, like the Jews, were marked for eventual extermination. The Russian Liberation Army numbered as many as 200,000 soldiers that fought as part of the Wehrmacht. The Ukrainian Liberation Army numbered between 200,000 and 300,000. Many of them were conscripted, but early in the war entire regiments would defect to the Wehrmacht. In light of the 1930s Ukrainian famine known as the Holodomor and other atrocities, it might be hard to blame them. It’s not just the winner who writes the history; sometimes it’s the one who can keep his neck out of a noose. Since Albert Speer was only sentenced to a 20-year prison sentence, the Minister of Armaments and Production was able to write the bestseller Inside the Third Reich, which sold readers on the notion that Speer both somehow operated at a distance from the worst of the Reich’s crimes against humanity. This led to, for example, the mini-series Nuremberg portraying him semi-sympathetically. Still, according to him (to say nothing of Goebbels’ propaganda) production stepped up almost miraculously after 1943 when he was given control. The thing about that is that even Speer’s contemporaries knew that Speer was achieving his “miracles” mostly on a basis of percentages rather than in terms of actually meeting miraculous quotas. The Reich, despite its lasting impression of being efficient warmongers, was not devoted to production during the period when Speer was supposedly working his miracles; the most Hitler would allot to war manufacturing was 12% of the Reich’s economy (by contrast, Britain devoted 40% of its economy to it from essentially the start of the war). Such was the need for a regular, relatively comfortable lifestyle among the German population despite the bombings. Not that Speer was above that sort of frivolous spending. Still an architect at heart, even in the final stages of the war, he was wasting resources on extravagances on a massive scale by having construction crews redesign buildings in line with his architectural taste in 31 major cities. At the end of the war, the notion of every war criminal in the German military standing trial and being executed was too daunting. Both the Western powers and the USSR wanted some level or cooperation from citizens in their respective sections of occupied Germany. Thus the narrative began to spread that carrying out the atrocities in occupied countries and the Holocaust at large had been the fault of the Einsatzgruppen, while the vast majority of the rank and file primarily behaved, if not admirably, then at least within the Geneva Convention. The only reason a separate Einsatzgruppen existed was because Eastern Commander Johannes Blaskowitz complained during the initial invasion of Poland that the mass murder of Jews was disgracing the rank and file, and leading to loss of discipline. This was not a secret; it was spread through the rest of the military in reports. Throughout the war, the rest of the Wehrmacht facilitated the delivery of slaves and victims into the SS’s hands. However, during the invasion of the USSR, the Wehrmacht joined in the mass murder of Jews and Slavs simply because of the sheer number of victims required it. The most vivid portrayal of just how guilty the Wehrmacht and other branches of the military were, even without the involvement of the SS, was brought to the public from secret recordings. 13,000 German POWs ranging in branches from the Luftwaffe to the infantry unknowingly had more than 17,500 transcripts made of their conversations in Buckinghamshire, Trent Manor, and Fort Hunt. They had been intended as conventional espionage, but often included confessions of hideous crimes within days of entering war zones. A typical tale came from a pilot identified as Pohl, who within days of the invasion of Poland began shooting up groups of civilians from the air, only feeling any remorse when he killed horses. There were also conversations of mass rapes of people forced into manual labor. These crimes were hardly unique to the German military, but they went completely against the notion that the SS was alone in its atrocities in the service of the Reich. From the beginning of the Blitzkrieg against Poland in September 1939 that’s generally regarded as the beginning of World War II, the idea was put forward that hopelessly obsolete horse-mounted lance charges were effortlessly obliterated by German tank units. Wrinkles were sometimes added to these stories that included the idea that Polish survivors would run up to German tanks and hammer on them with their fists because they’d heard they were phony. Hardly surprising, considering that for years Germans had been attempting to paint Poles as stupidly inferior through then-seemingly benign Polish jokes. The truth, as reported by Historyanswers.co.uk, was that Polish cavalry fared much better than would be expected, successfully driving back inexperienced, uncoordinated German units more times than they were repulsed. The lances and sabers were ceremonial. In battle, the cavalry usually rode near the combat zone, then dismounted to engage the enemy. The incident that the propaganda was built around was a charge near the village of Krojanty, where the 18th Uhlan Regiment attacked a German infantry force. They routed their opponents, but in the pursuit they were ambushed by a German armored unit that arrived in support. They had hardly suicidally charged right at tanks with sabers gleaming. The cavalry so distinguished itself that at one point during the Battle of Mokra, they actually bested a collection of German tanks. 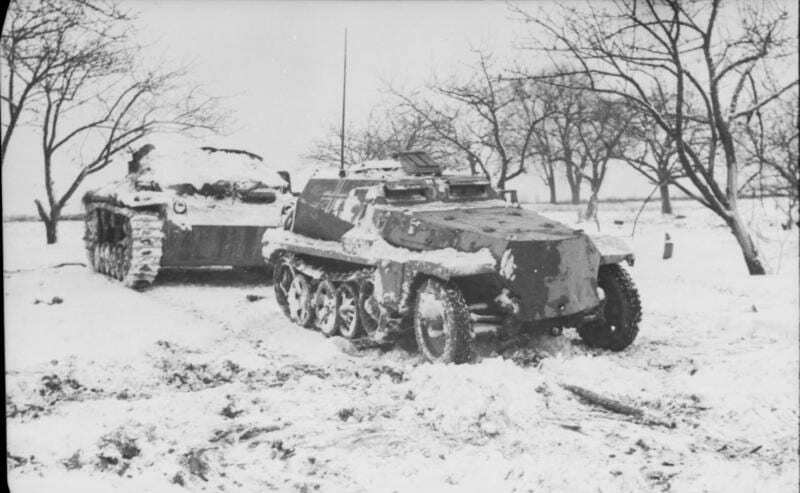 A dismounted unit of the Wolynska Cavalry Brigade stopped an armored unit’s attack, which cost the Germans 50 vehicles. Meanwhile, a unit under Captain Jerzy Hollak attacked, and in the smoke of battle weren’t aware they were charging German armor. However, the cavalry drove away the armor’s infantry guards and forced a withdrawal. But that hardly fit the narrative of hopelessly inept horsemen. One of the last official lies broadcast to the remnants of the Third Reich was that Dresden’s February 13, 1945 bombing by Propaganda Minister Goebbels had been an unparalleled atrocity that resulted in 135,000 deaths (later analysis put it closer to 25,000) without any justification. This has been used to add shade to the moral complexity of the war ever since, and to say that, the Holocaust notwithstanding, the Allies had no real moral high ground over the Axis. Even author Kurt Vonnegut Jr., certainly no Nazi, contributed to keeping Goebbels’s twin falsehoods alive after the war in his classic novel Slaughterhouse Five. In Bombing Civilians: A Twentieth Century History, authors Yuki Tanaka and Marilyn Young pointed out that there were several factories in the city used for military purposes. 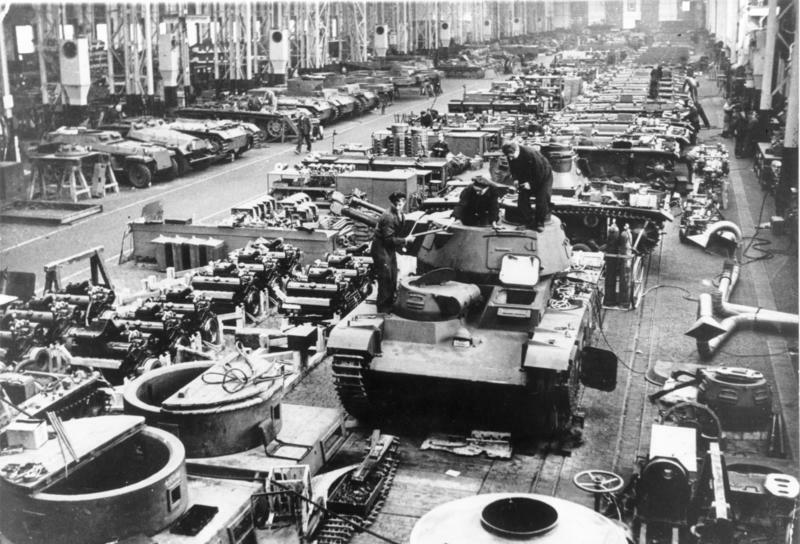 In addition to that, many of the smaller shops had been converted to production for the armed services. Some 70,000 civilian residents were workers for the armed services. However, the greatest motivating factor for the Allied decision to bomb it was that it was transportation hub that allowed for the movement of soldiers that were 120 miles from the Eastern front at the time of the bombing, as well as the movement of prisoners to death camps. Not that the Allies were morally pure (they had listed the presence of refugees from the Eastern Front as a “plus point” because it would create chaos), but it was far from the unparalleled war crime it was later said to be.